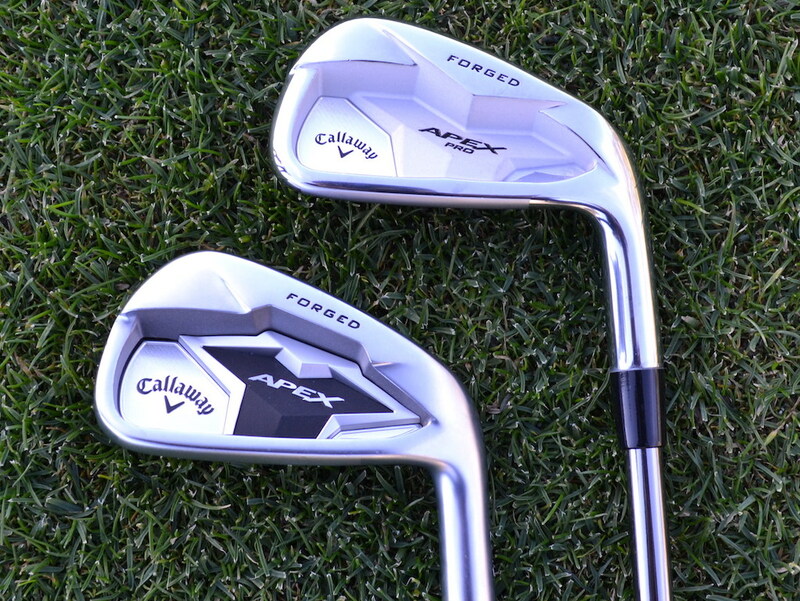 Callaway introduced its Apex iron line just over 5 years ago, consisting of its “Forged Tour Performance” Apex Pro and standard Apex, which it calls its “Players Distance Iron.” Unlike the more traditional “Apex Pro 19” irons, the standard “Apex 19” irons are slightly larger and utilize more multi-material technology to provide both more distance and forgiveness to the player. 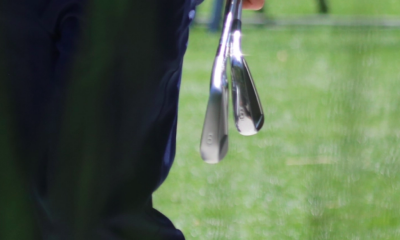 These irons will fit a wide variety of players, from low to mid-handicappers alike. They can even be blended quite nicely into a combo set with the Pros. Aside from some technological enhancements, which we’ll dive into, there is new Smoke PVD Finish is available — including a darker Elevate Shaft — for those that prefer a darker look. 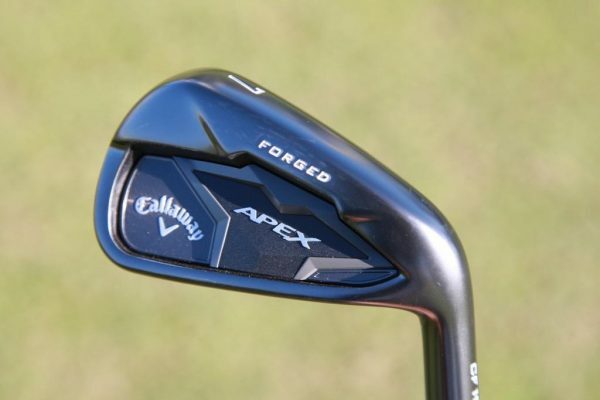 In the increasingly crowded “Players Distance Iron” category, Callaway Apex 19 irons are standouts. 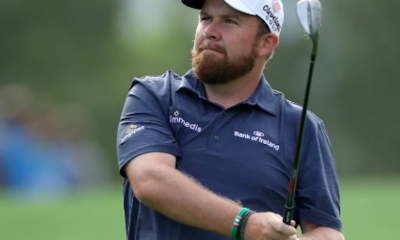 The sound, feel, and playability is once again near the top of the pack. Callaway’s 360 Face Cup Technology is no joke, providing consistent, dependable distance when needed. 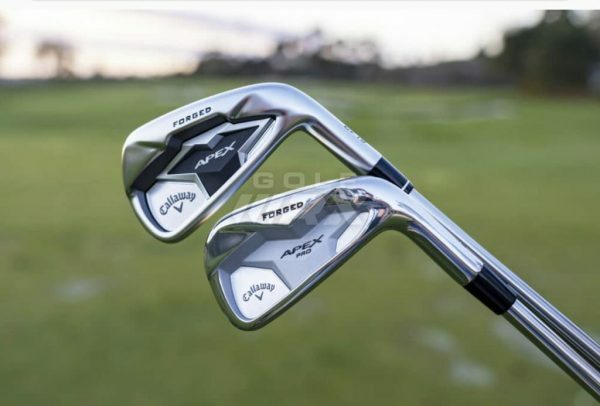 The original Apex 14 irons took first place in GolfWRX’s 2015 Gear Trials in the Players Irons category, and the line has only improved in the years since. 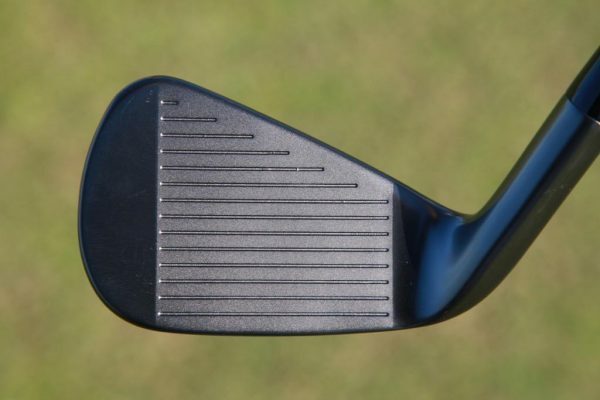 Some better players may consider the scoring irons to be a bit too large. They may be better suited the Apex Pro, or a blended set of the two. The smoke finish will increase the price (Starts at $1,560 vs $1,400) and it’s unsure at this time how the black will wear, as a darker finish is tougher to maintain over time. 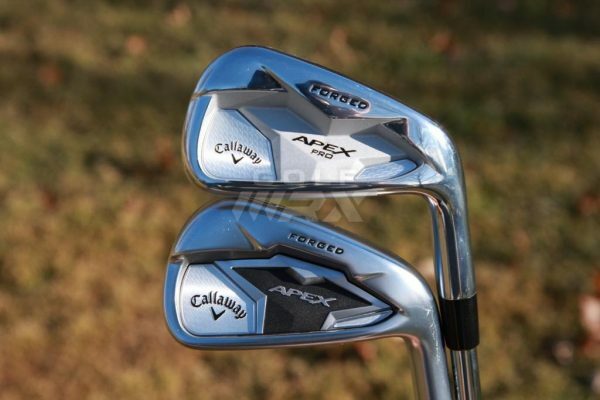 More photos of Callaway Apex 19 irons in the forums. I have the ‘16 version of the forged. Love them, truly. The one thing to be careful of is you will get the occasional flyer. 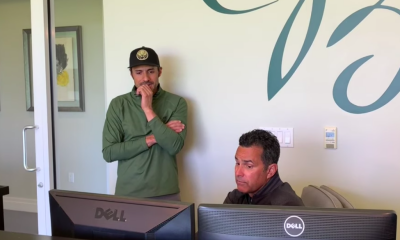 For example, I usually hit my 7 iron 170 carry but caught one almost too flush and (over) drew it 198 carry on the launch monitor the other day. Felt amazing but would have been pissed on the course. I’ve had the same thing on the course especially with a little grass or mud on the ball. 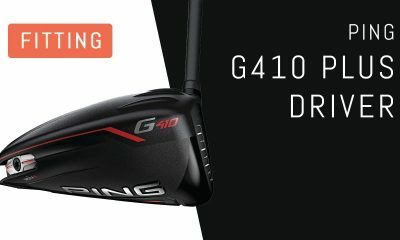 For me, “forgiving” means you hit it your distance when you miss the COG on the face and can be punished (not always) by going too far on center strikes, which is an odd conundrum but I’ll take it vs the opposite! If the black finish is indeed PVD then we actually do know how it will wear and the answer is “not well”. 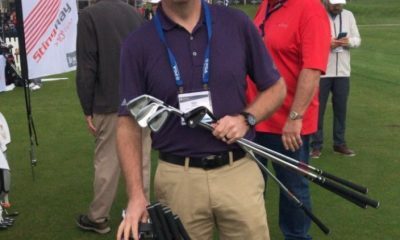 I have had the Apex Pro irons for about a month now. I can say without a doubt, that they are some of the best irons I have ever owned. Excellent looks, sound, feel, and great all around performance! These clubs will be in my bag for a long time. I gamed the combos for a bit and sold them. Nice but nothing exceptional.